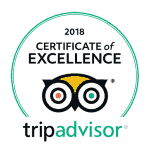 SW SUP Portugal is the best school rated by Tripadvisor in terms of activity in Vila Nova de Milfontes, with more than 100 Excellent reviews. 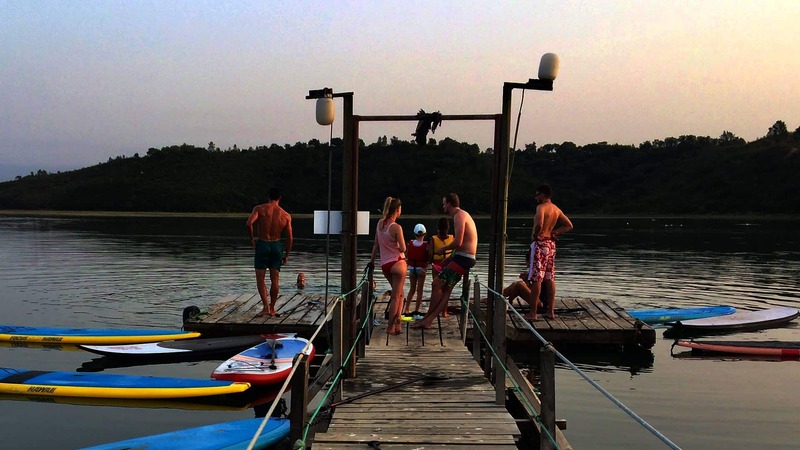 Come and fall in love with this modality in one of the best SUP schools in Portugal! 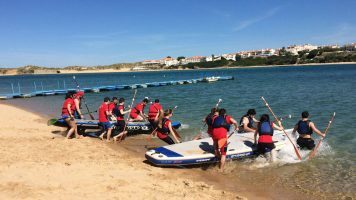 The many years of experience in water sports and working in the Alentejo Coast in Vila Nova de Milfontes, allow Us to offer our Clients a Unique Experience in full communion with nature. 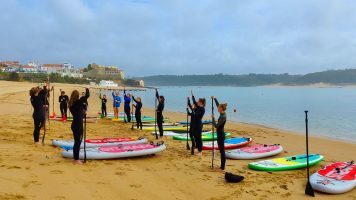 The SW SUP Stand Up Paddle School is the only SUP school certified in Vila Nova de Milfontes by the Portuguese Surf Federation. All Customers are covered by personal accident insurance during classes. 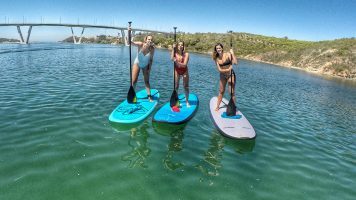 Come with SUP SW to meet the intricacies of the Mira River and be enchanted by the beauty of the beautiful surrounding landscape, we have at your disposal several routes for all levels of SUP. SW SUP has at its disposal several Experiences to enjoy the Alentejo Coast in a unique and beautiful way. All experiences include monitoring by certified instructors. 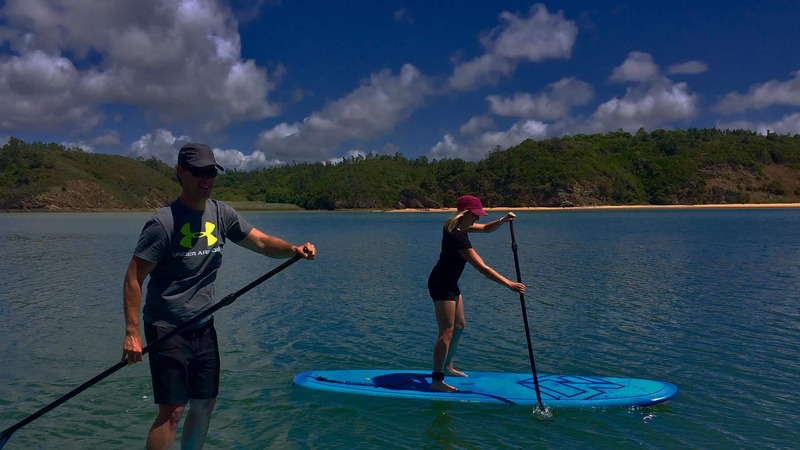 We have different types of SUP and KAYAKS boards with stability and high performance for people who want to go a little farther and explore the Mira River with a Tour or to start on the waves. Take a look at over 100 reviews made at SW SUP by some of the many satisfied Customers we have. Great experience, quiet, with good energies. Antonio demonstrates very professionalism and manages to provide a relaxed atmosphere, even for those who have never practiced the SUP! Strongly Recommended! We experienced the SUP for the first time today and had an amazing experience. Our Guide was very friendly, patient and explained everything very clearly. We did the 2 – hour tour that was enough for two girls. We definitely recommend the SW SUP School! Spectacular Experience. Certified and very experienced Instructors! We had an SUP lesson and for the first time it was very easy thanks to the attention and experience of the instructors! I Advise all those who are going to Milfontes to visit SW SUP! Our team is waiting for you. Contact us today for an amazing experience! 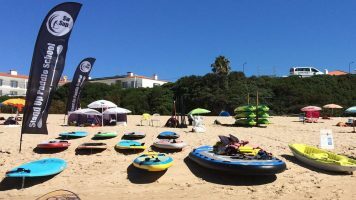 SW SUP is a school certified by the Portuguese Surf Federation, registered in Turismo de Portugal and recognized as Nature Tourism.